Good afternoon everyone! It is finally Friday and I am so ready for a relaxing weekend!!! Today I have a fun glitter creme from Zoya and a lovely stamping plate from Moyra to share. 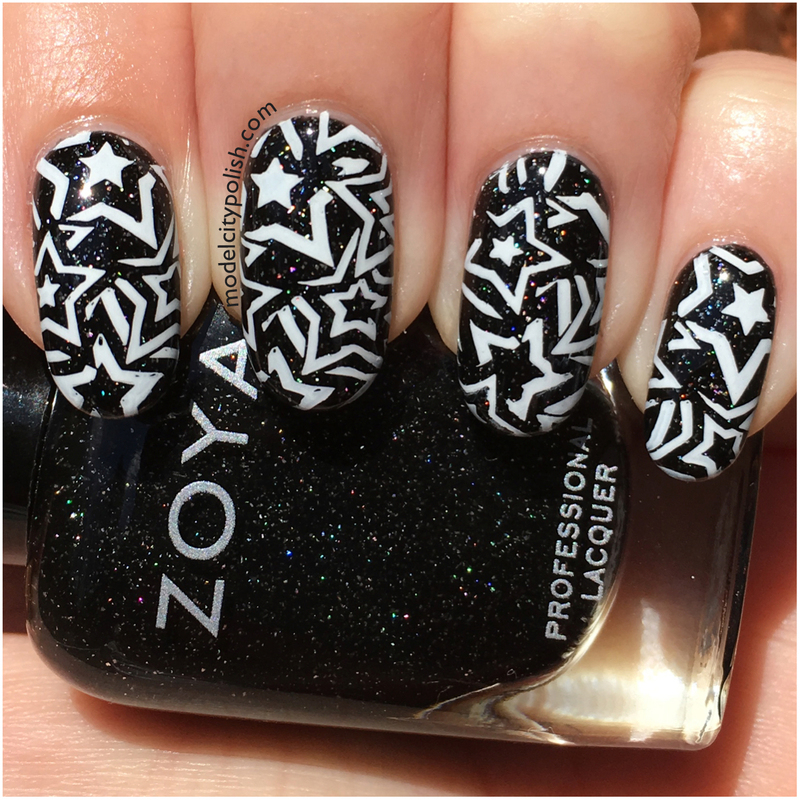 Storm by Zoya was one of those early blends that really turned me on to Zoya and lived up to every expectation. Storm is a black base blend filled with holographic particles. Application and coverage are superb. One things I really love about Storm is you get all the sparkle without the headache glitter removal process. This stuff comes off with incredible ease. 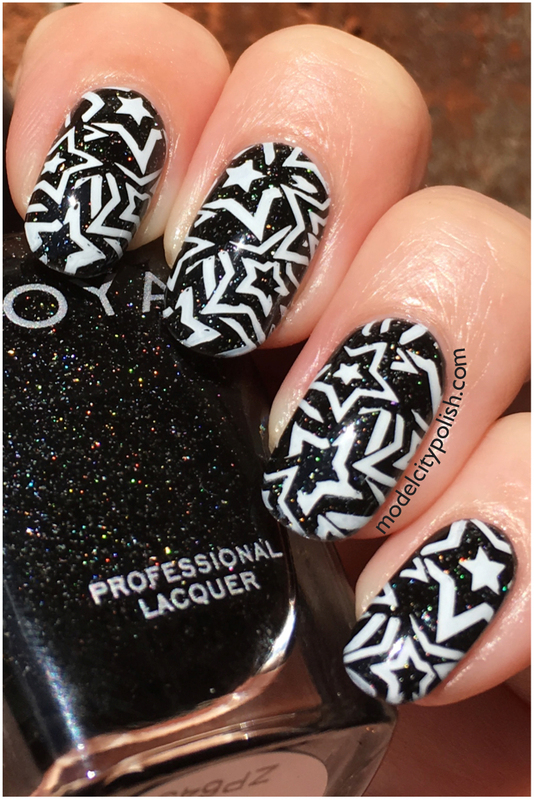 Now to keep with the star filled sky look I used the Geometry plate from Moyra and white stamping polish from Moon Nails Supply. Everything is then sealed with a coat of Liquid Macro Top Coat from SuperChic Lacquer. What do you guys think of today’s star mani? I love it! The sparkle shone through perfectly, and the classic black and white pairing was perfect. Thank you so much for stopping by today and I will see you all again tomorrow. Storm is certainly one of my favorites! Add in the fact that it is easy to remove makes it one of my favorite glitter blends ever! I LOVE the bold contrast here!! Storm is one of my all-time classic favorites! 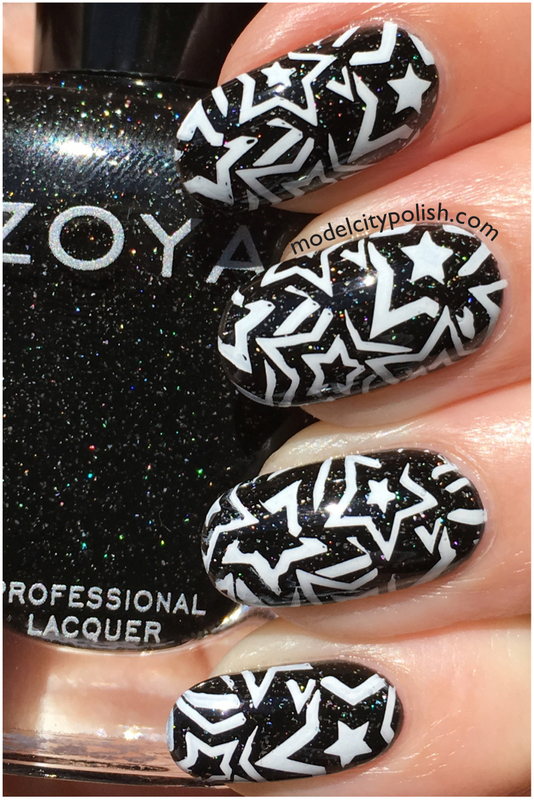 Zoya Storm is one of my favorite Zoyas. 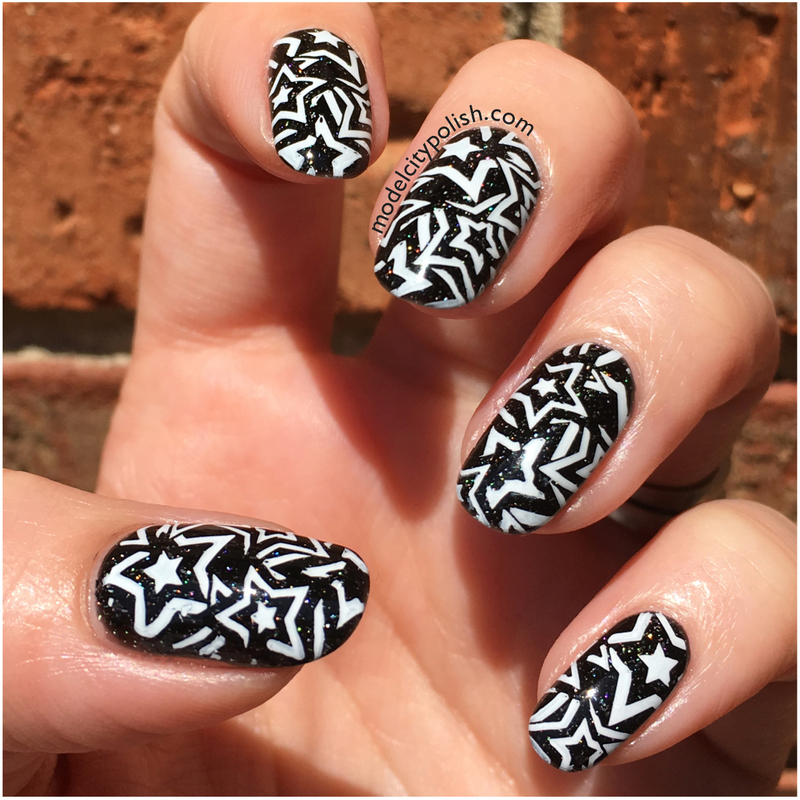 I like how you paired it with star stamping! It is one of my favorites too!!!! I wish they had more shades!!! Agreed!!!! I would love some primaries in this finish!!!! Love me some stars and sparkle. This is so pretty. I love and adore how graphic this is. Oh my, this mani is gorgeous!! I need to di a stamping manicure now!